This is pretty bitchin’… Quirky put their noggins towards developing a modular multi-tool. They came up with the Switch, which is essentially a folding tool with interchangeable bits. 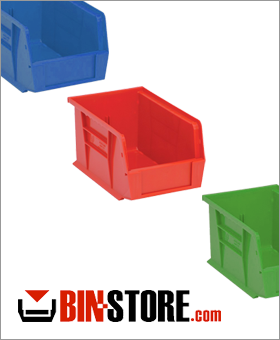 Depending on your needs and the size of the tool you want to carry, you simply add or omit bits. Ingenious… I wonder if it’s as durable or reliable as a Leatherman? I think I’ll order one and report back. 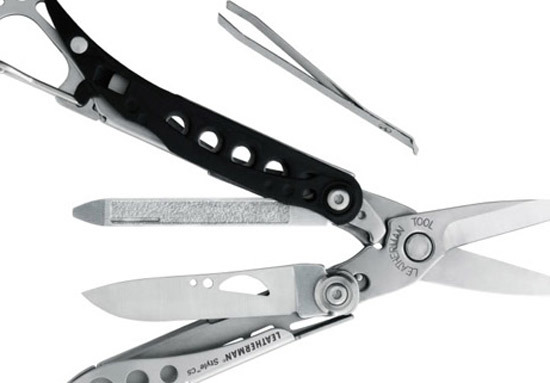 About 2 months ago, images of the new 2010 Leatherman tools were leaked on the internet. Leatherman quickly got to work and had the images removed from just about every source they could find. 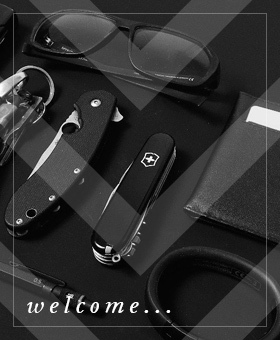 Since then, I’ve been waiting on the Leatherman website to feature the new tools. The update has yet to come although the 2010 dealer catalogs do, in fact, feature the new tools. 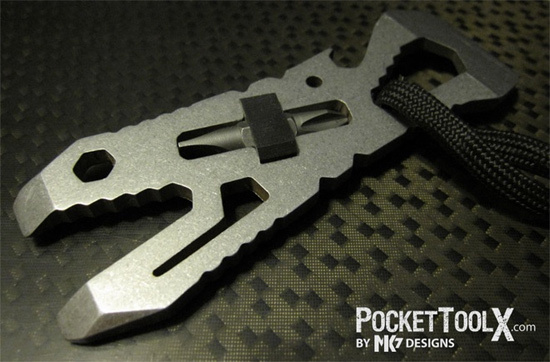 Check this craziness out… It’s the world’s first multi-tool created by Romans in 200AD. It’s made from silver, but has an iron blade and features a spoon, fork, spike, spatula, and a small tooth-pick. The clever litte device was extracted from the Mediterranean about 20 years ago and now resides in a museum. There is a frenzied cult following for Atwood pocket tools. If you aren’t familiar, Atwoods are small multi-function tools that are typically made of titanium in limited production runs. They are expensive new (think around $100), but the collectable variants can bring even crazier money. People love and collect them. In a way, it’s a shame because it’s hard for a fella to use and abuse such a handy little device when they have so much dough wrapped into one. It looks as though PocketToolX is trying to bring a similar tool to the market for much less coin (although still not cheap). The Piranha is a wrench, a screwdriver (both flat and phillips), a bottle opener, nail puller, scraper, and a pry bar… All wrapped up in a small pocketable stainless steel package. I might get one just to review. $50. You fellas know that I’m a sucker for just about any multi-tool. I typically dig on the super compact stuff as I’m mostly an urban dweller, but if I was a man about the woods there is no doubt that I would give the above from Brook & Hunter a shot. 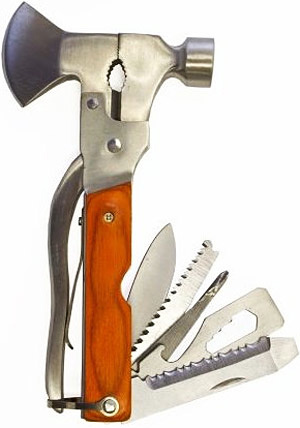 It’s an axe, a hammer, a screwdriver, a knife, a saw, a can opener, a wire cutter, a file, pliers, and a wrench… all in one super manly little package. And, it’s only $40. Check it out. Lots of guys carry min-screwdrivers in their EDC packs. They are great for sunglass repair, picking interior door locks, and all sort of other tasks. Of course, an assortment of mini drivers can take a lot of room in your pack. General solves this problem and gives ya a power bonus as well with the Power Precision Screwdriver. This little fart of a power driver runs two AAA batteries and comes with 6 bits of various sizes and types. I haven’t messed with one yet, but it sure looks promising. Knife collecting is expensive. To have a collection, it seems like you have to get a nice broad selection of blades and types to perform all kinds of different tasks. In doing so, it’s very easy to get way more money in your collection than is practical. I mean, how many of you are going to actually use a knife that you spent $500 on? Not me. 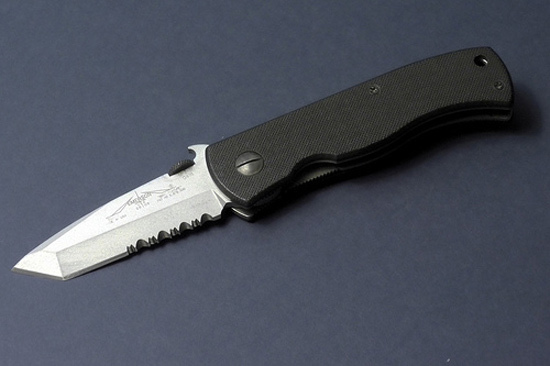 Emerson Knives was really one of the companies that started the tactical folder movement and the Emerson CQC (Close Quarter Combat)-7 was one of the first and most successful folders to be marketed as a defense/tactical weapon. As great as the CQC-7 is, I never carried one because I didn’t care for the size of the knife. 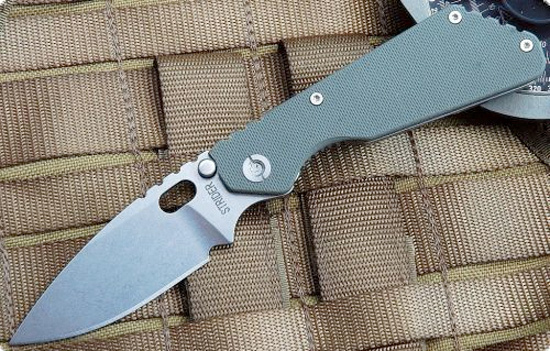 To me, a folder will always be more of a tool and not so much of a weapon… But, the functionality and utter indestructibility of the Emerson always appealed to me.